WELCOME TO HOLYness BIBLEs for the blind's Sermon Spotlight!!! 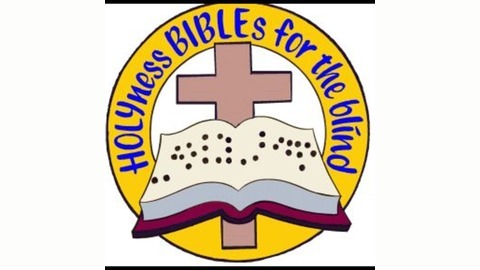 HOLYness BIBLEs for the blind is a missionary outreach to the physically and spiritually blind. Our primary outreach goal is to the edification of the saved, reaching out to the lost and helping those in distress and the education of Christ's body as to the abilities, needs, and rights of those who are visually inconvenienced, and the special talents they can bring to God's Church. God has challenged us to meet this goal in many ways by doing the following: * Large print, Braille, & audio Bibles, Tracts, & more!!! Or, helping send Bibles to Nigeria!!! * Our FREE Sermon Library has over 200 Sermon titles strong, & GROWING!!! Topics range from loving the brethren, to the false doctrines of the cults. Get your FREE MP3 download THROUGH our website at: http://holynessbiblesfortheblind.org/sermons Or, you can get them on CD. All sermons are totally free for the asking as the Lord provides! Request 1 or as many as you want! * Help in finding training for blind children, & adults. Find a summer camp, or a handy gift idea for that blind friend, or loved one! So, with a sermons library of over 200 titles strong & GROWING. We realize it surely isn't because we preached ALL of those titles ourselves! That is why even though Missionary Ken Wolfgang contributed a great many titles to this library. We at HOLYness BIBLEs for the blind would like to send out our deepest THANKS to the following: Rev. David Cummings, Dr. Larry L. Emery, Evangelist Timothy Gruver, Pastor Bob Kauffman, Dr. D. J. Kennedy, Dr. B. R. Laikin, Rev. James Lewis, Brother Danny Miller, Rev. Bill Pickel, Dr. Peter S. Ruckman, Brother Mike Sheibley, Rev. Tom Smith, & Brother Randy Waters. as well as other un-named preachers. We would also like to take this time to THANK Sister Sheila Jamison as well as the many other un-named children of Jesus Christ, who gave from their personal collections as well! To everyone. THANK YOU!!! 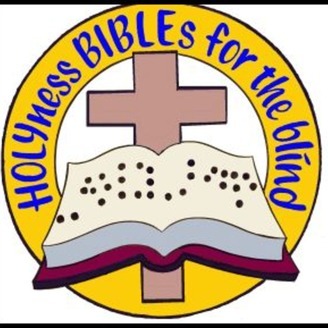 In this Sermon Spotlight, We here at HOLYness BIBLEs for the blind, try to "Spotlight" one of our many sermons, each month from our large library for you to be able to listen to, & get a taste of the kind of preaching we have here at HOLYness BIBLEs for the blind! Enjoy this month's "Spotlighted Sermon"!!! In this month's Sermon Spotlight, we'll be taking a close look into how "special you are"! Do You Know The Light Of The World?